​Manuela will be accepting walk-in tattoos as well as online bookings for the duration of this time. ​Also available to purchase are her exclusive range of t-shirts for Queen as well as a host of all other memorabilia for the film. Video by Archie Thomas. Filmed April 1 at Wildfire Starlight Lounge. ​Having worked in the display industry for over 25 years, Neil Ellis founded Brilliant Neon in 2016. 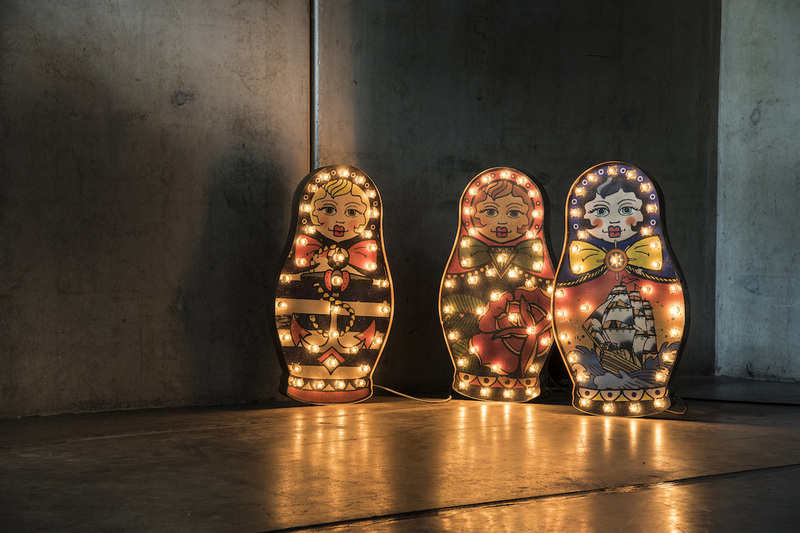 The company designs and retails unique, yet affordable real neon signs for the home and business including bespoke items to order and artist collaborations. ​Roulette Customs is THE London based customisation company owned by artist Rex Roulette. 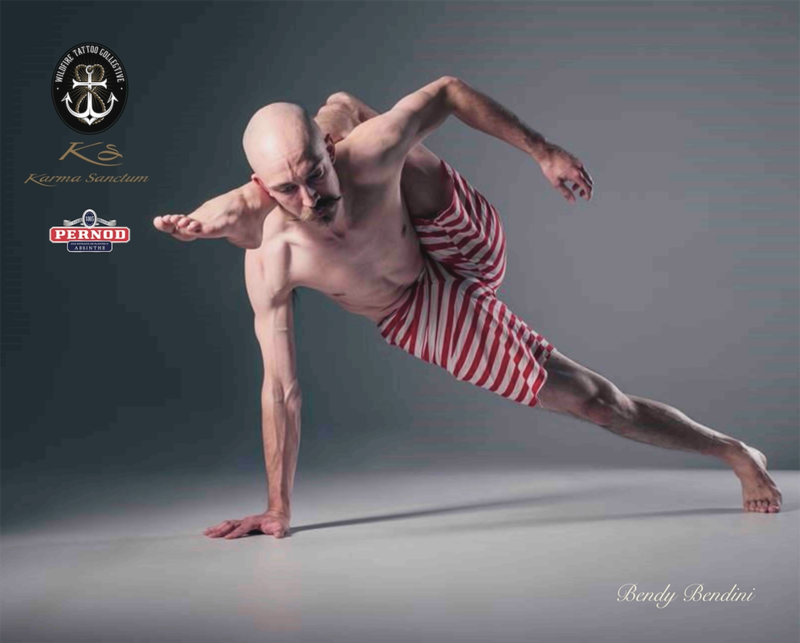 The company offers you the opportunity to stylise anything that can be twisted, torn apart, augmented or reimagined. Nothing is out of the question and nothing is too weird. Rex welcomes the challenge to customise anything...anyone...anywhere...anytime. 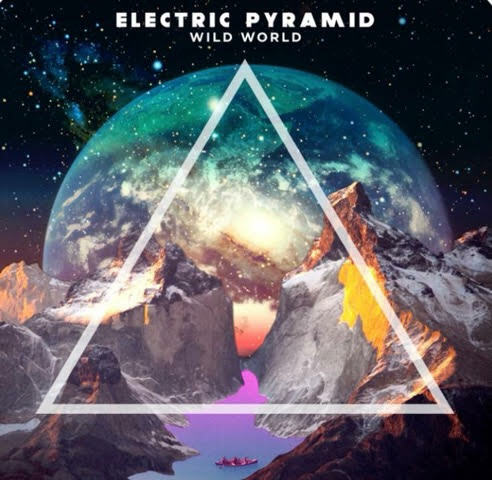 With a rich history of playing Rock n Roll music on Guitar but also juggling this with his select Fashion jobs, he garnered many great styles from travelling the world over and it shows in his work form. With an eye for exceptional detailing and the ability to consult on style whether it be clothing, your home or your art direction. Roulette Customs is here to help you focus on your vision and your needs whilst adding a unique flare along the way. ​Born out of a love of skulls, tattoos and rock & roll. 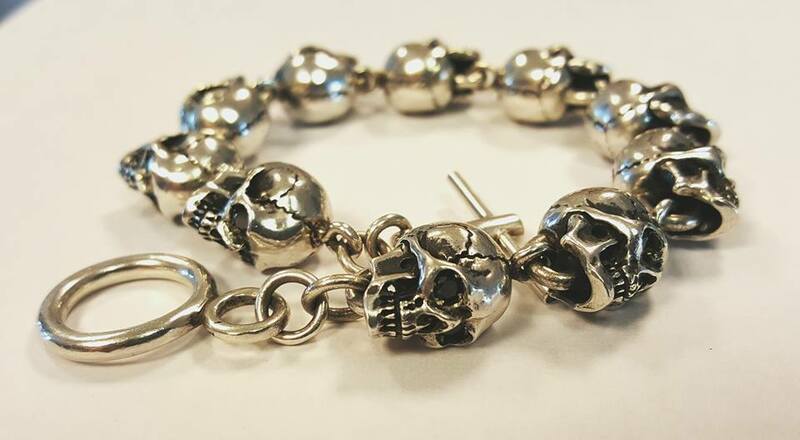 Simon Card designs and makes some of the finest rock and roll jewellery you'll find. 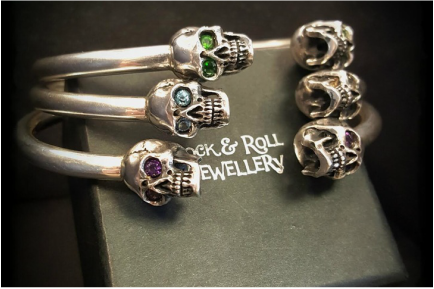 From his latest stunning anatomical skulls and his black diamond set watch chain bracelet to silver skull ear studs Simon "The Rock & Roll Jeweller" is continually pushing forward with his amazing work. If you are looking for something unique then look no further than Rock and Roll Jewellery it really is Rock and Roll Jewellery at its very best! 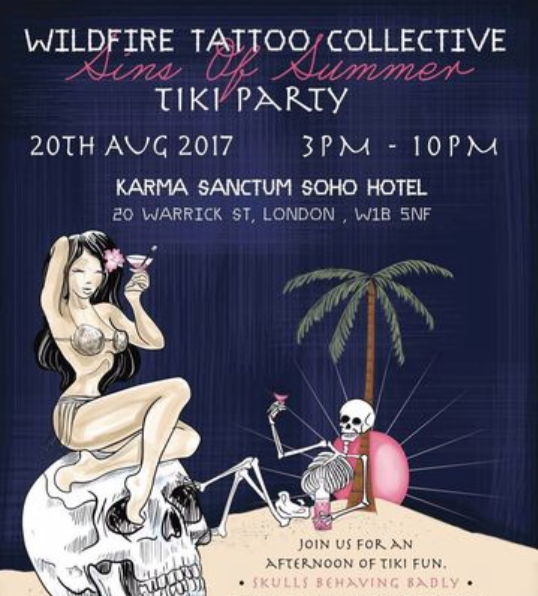 ​Wildfire Tattoo Collective is moving back into Sanctum Hotel in London for it's next party. Come help start your New Year with a bang, bringing Rock'n'roll vibes, flowing drinks and giving you the chance to wake up with a tattoo that you will never regret or forget! You are invited to come and celebrate in style with us and witness what we do best. We will be hosting our evening in Restaurant REMIX, with Rock'nRoll canapés, and a cash bar all evening. 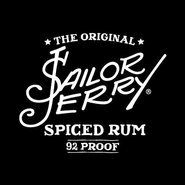 Featuring music by DJ's Anna Wall + Rubber Ron, drinks sponsored by Sailor Jerry's and tattoos booked in advance with our resident artist Manuela Gray. Video clips by Archie Thomas, filmed at the Resolution Revolution Party on 7th January 2017. ​​World renowned for her provocative creations and hailed for being a key contributor to the enduring popularity of British millinery across multiple generations of fashion aficionados, Victoria Grant continues to push the boundaries of headwear with her Avant-Garde designs. As a result of Grant’s unwavering commitment to upholding a time-honored tradition within a contemporary context, and her approach to craftsmanship and artistry, she has collaborated with numerous cultural icons from the worlds of music, art and fashion. Having become something of a cult figure in London famed for her resplendence, eccentricities and ability to celebrate her clients’ distinctiveness, her hats carry the kind of recognition that is all at once arresting, unique and awe inspiring. Fusing her interests in Art, British Heritage and Rock n’ Roll, Grant creates cutting edge creations that are both playful and sophisticated. From her ‘Titfer Tat’ collaboration with Jeweller Stephen Webster www.stephenwebster.com to her collaboration with Psychedelic Woodstock artist Mike Dubois - creating silk Rock & Roll art scarves, Victoria’s style is expressive, visionary and unique. Early on in her career as a fashion stylist, Grant often had trouble sourcing the type of headwear that could facilitate her vision and stylistic approach. She had always been mesmerized by the military hats and ceremonial dress collected by her father along his travels, so she decided to start making her own pieces for shoots. Her first pieces sold immediately and she quickly became inundated with bespoke orders. Grant had become a milliner before she recognized what one was. Experiment with trial and error in her own autodidactic style, allowed her to create a series of revolutionary signature shapes, such as the Princess Albert Beret and her hand sculpted top hats, which have come to define her unconventional approach to millinery, and evolve throughout each season. Grant believes that hats should be worn, even without occasion, and advocates that every woman should embrace them as though you would an everyday statement accessory. Victoria Grant’s clients include Madonna, Rihanna, Lady Gaga, Beyonce and her works are regularly shot by Mario Testino, Annie Liebovitz, Ellen Von Unwerth and Karl Lagerfeld. Snap up one of Victoria’s Signature berets at HARVEY NICHOLS - or visit the showroom directly for Top-Hats and one off art-piece headwear. Smashing the decks on Sat night are DJ's Anna Wall and Rubber Ron. Anna has had remixes played on BBC Radio 6 and has rocked some of Europe's most highly acclaimed clubs and festivals including Space Ibiza, Snowbombing and Secret Garden Party. And Rubber Ron is no stranger to Wildfire Tattoo Collective and has rocked past events with his diverse and eclectic mix of music from disco, funk, punk, jazz, house, rock to hip hop. Don't miss these two highly acclaimed DJs this Sat Sanctum Soho! ​Fabricated from weathered steel, these intricate pieces are sculpted by hand. Traditional tools and methods are used to craft something truly illuminating. A composition of inks and paints are used to create a nostalgic image on the weathered steel faceplates. Lit by Edison lamps these pieces take the viewer on a journey of art and light, fused as one. TATT Light will be releasing 2 completely new and unseen pieces at this event. Various Tattoo Artists and Musicians will be painting Levi jackets which will be on display. Diamond Jacks is the longest running Tattoo Parlour in Londons West End. They will be exhibiting old Rock N Roll Tattoo flash and customising a Levi's jacket. The Studio was opened by Denis Cockell back in the mid 1980's and then took over by Ian Kaye who sold it to me after working several years for him back in 2003. So after 30 years with lots of rock n roll clientelle including Zodiac Mindwarp, Pete Hook(New Order)/Pete Doherty (Libertines)..also members of Florence and the Machine, Artic Monkeys, Rancid and film/magazine projects including 'this is England'/Basic instinct and Cameron Diaz we have tried to keep the spirit of outlaw/rock n roll tattooing intact! With minimal press and a word of mouth attitude similar to a rock n roll band ..Diamond Jacks is still here and one of the most infamous tattoo studios in the world!! Current artists and the best team I have ever had are: Me (Darryl Gates), Hannah Lightspeed, Hwee Lo, Frank'n'Tattoo and our apprentice Sunny Jim!! Loud Rock/Metal is always blaring inside but a friendly old school mentality is at its heart!!! Jivomir Domoustchiev is customising two Levi's jackets for this event. 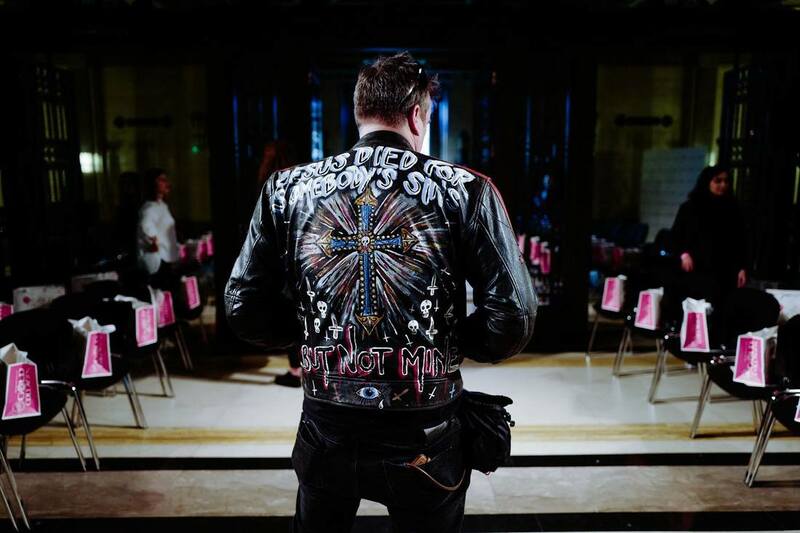 The jackets will then be auctioned for The Mercury Phoenix Trust which is the band QUEEN'S aids Charity. ​Originally from Bulgaria and raised in London, JIVOMIR DOMOUSTCHIEV began his career in menswear design graduating from London College of Fashion. Continuing his career as a Fashion Stylist and Creative Director, JIVOMIR’s highlights include Co-Founder of Centrefold magazine, Editor roles at A Magazine, Touch and Wig, and Fashion Editor of Infringe Magazine. An amazing selection of drum heads from Legendary rock drummer Roger Taylor of the band QUEEN will also be on display. Simon Card designs Rock & Roll Jewellery and will be displaying and selling pieces at this event. Rock and Roll Jewellery make a selection of rings, pendants and bangles ~ some pieces are one offs, other pieces are produced in fairly small quantities. They don't mass produce. 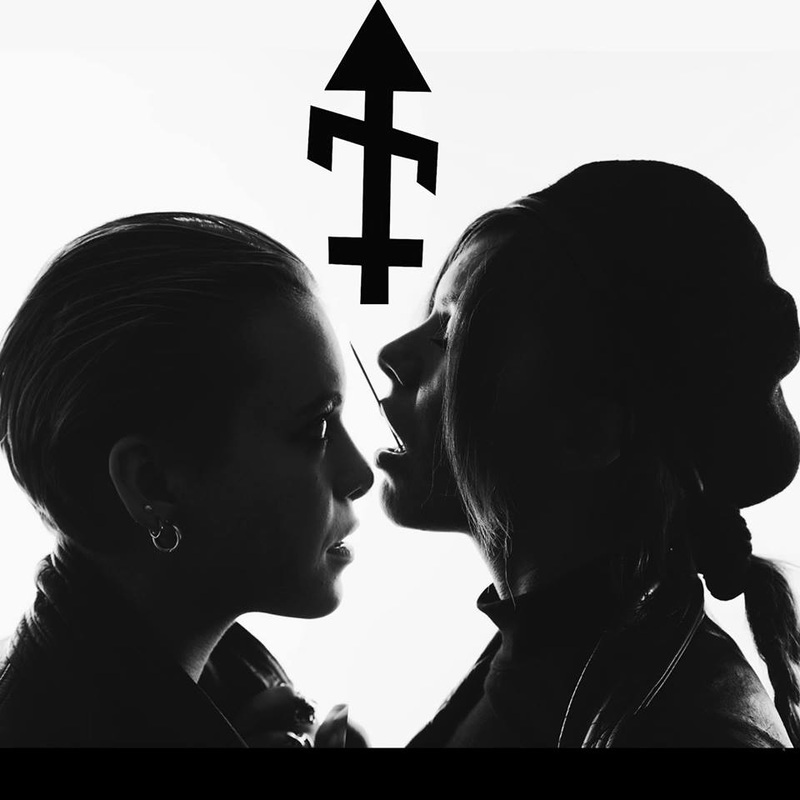 BONES make their own music, music videos, artworks and luck and have recently co-written JEFF BECK’s new album “LOUD HAILER” which they will tour the USA with during summer 2016. Music by BONES has appeared on Netflix show "Orange is the new black", Amazon show "Transparent" and a "Victoria Secret" ad. ​Araminta de Clermont will be exhibiting photographs : This series is an exploration into the tattoos, and lives, of members of South Africa’s ‘Numbers’ prison gangs (the 26s, 27s & 28s) after having been released back into society, normally after many years, of imprisonment. 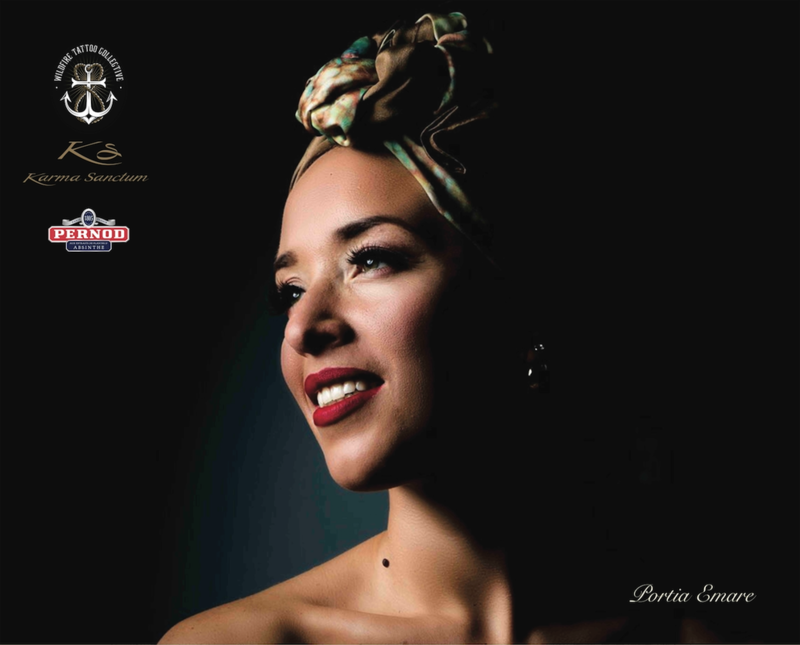 ​"The theatre that is Southern African history is stuck in a series of familiar narratives – the popular characters the world has grown to enjoy watching have remained on stage for encore after encore, whilst the rest of the cast in this epic remain behind drawn curtains. There they are lost to the long shadows of time." Fort Rixon's work concerns the reconstruction of this past. Born in Southern Africa, he creates art that connects with lost chapters of Southern African history into an alternative historical narrative – through the use of print making, drawing, painting and film. ​South African gangs are among the most feared in the world, and can be identified by the unique tattoos or “Chappies” that mark their bodies. Their members walk a dark path and many end up behind bars. After serving time in jail, some try to reform but they struggle to find jobs and properly reintegrate into society due to their gang-associated tattoos. 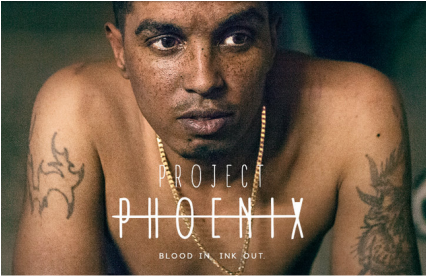 "Project Phoenix" is a documentary that follows the journey of a former member of the Numbers Gang. It shows how creativity helped transform him from a hardened criminal into a valued member of society. ​Manuela Gray and Antonia Steyn will be premiering their film NUMBERS, casting light on the world of prison gang tattoos in Cape Town.